“Dream • Play • Create” Is the brand Susan has chosen to define her creative process as an artist. Approaching every day with an open mind and an open heart, Susan gains inspiration from her sleeping and waking dreams. During the creative process, Susan is focused on cultivating a sense of play. An animal lover, Susan’s current inspiration comes from numerous loving animals that bring joy to her, her friends, and the wider community. 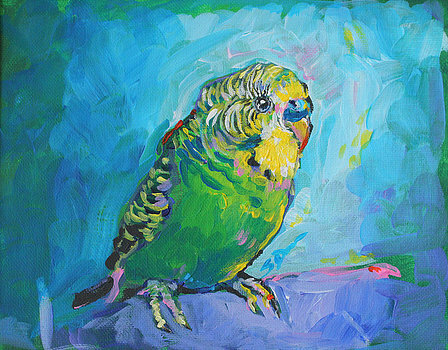 These whimsical paintings, rendered with loosely flowing contour lines, are infused with radiant colors selected in response to the animal’s temperament or personality rather than natural colorations. Susan received formal training in painting and drawing at Gustavus Adolphus College and Temple University’s Tyler School of Art in Rome, Italy. She presently lives in Buffalo, MN.